Florence Cabre-Andrews, affectionately called Flo, committed to the practice and teachings of yoga when she became a mother. It helped her parent with more mindfulness. 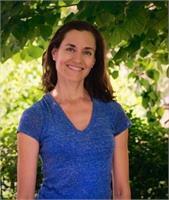 She is an E-500hr RYT and graduate of the Iyengar Yoga Association of Greater New York Teacher Training Program.